The Adršpach Rock Town is the smaller part of the Adršpach-Teplice Rock National Nature Reserve. It is made up of cube-like sandstones. 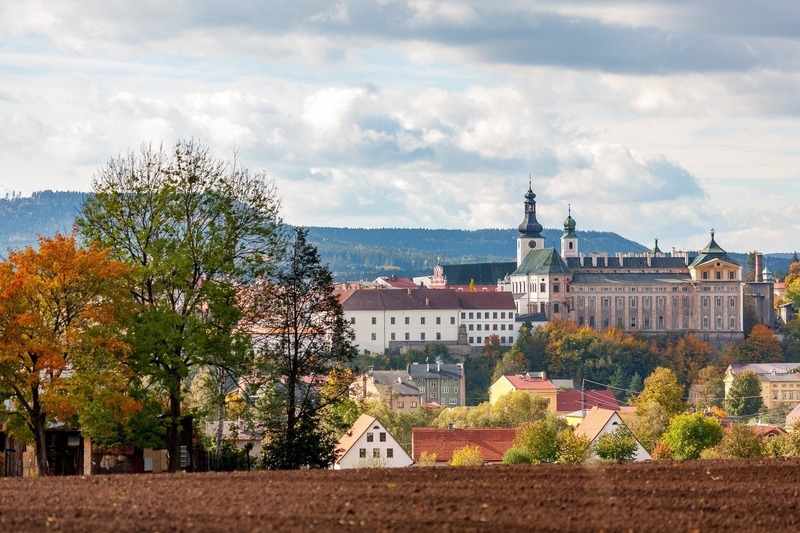 Together, Adršpach Rock Town and Teplice Rock Town make up the largest compact rock town in the Czech Republic. And to add to that both rock towns are well-known European names. A signposted walking tour will take you to the Rock Town. You can either go on your own or you can make the tour a guided one. You can row across a small lake located above the Great Waterfall. And you can also hire a small boat at the lower lake. The Adršpach Rock Town also offers a variety of rock climbing terrains of varies difficulty levels. The Rock Town is situated nearby Teplice nad Metují. It is especially noted for its striking coherent rock walls. and its coherent rock walls are striking. The Teplice Rock Town is separated from the smaller Adršpach Rock Town by the Wolf Gorge (You can pass from one Rock Town into the other along a navigated tourist walking trail.). You can access the Teplice Rock Town by a navigated walking trail. It is 6 km long and is very well marked. In fact it is a nature trail with many information panels. Thus, visitors can learn about the history of the rocks and how they were discovered. They are also provided with information about hiking, mountain climbing and animate and inanimate nature. Text data is accompanied by photographs and illustrations. The Broumov Walls conceal many an enchanting place that are worth a visit all year round. 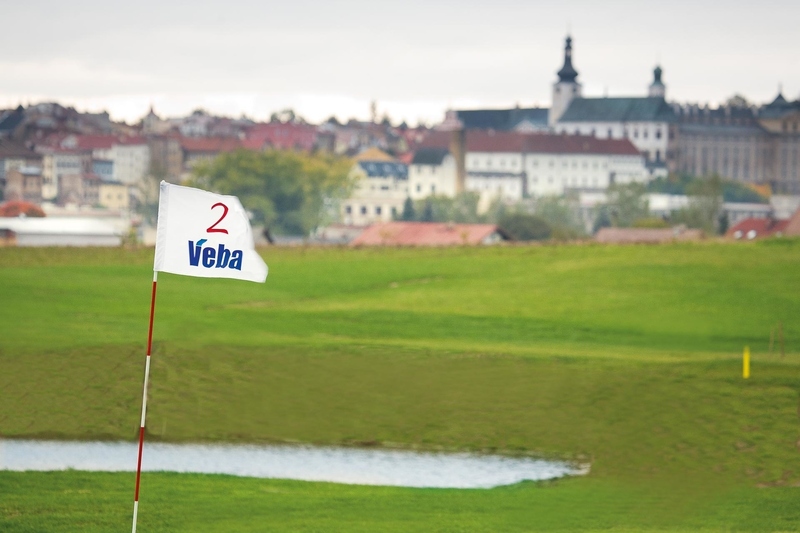 They rise in a south-west direction from the Stěnava River valley. From a landscape point of view, the Broumov Walls represent a striking asymmetrical mountain ridge from which many sandstone rock formations protrude, lining numerous gorges. Several gorges plough through the rock massif usually from the west to the east. Smith’s Gorge (Kovářova rokle) is the most popular – a tourist walking trail leading from Police nad Metují to Broumov across the Star (Hvězda) will take you to it. Numerous mushroom-shaped rock formations in the Slavný and Božanovský Špičák Mountain area are an example of so-called selective weathering away of sandstone rocks. The most interesting parts of the Broumov Walls are accessible thanks to a dense network of tourist walking trails which provide comfortable passage through otherwise hard to pass through terrain. 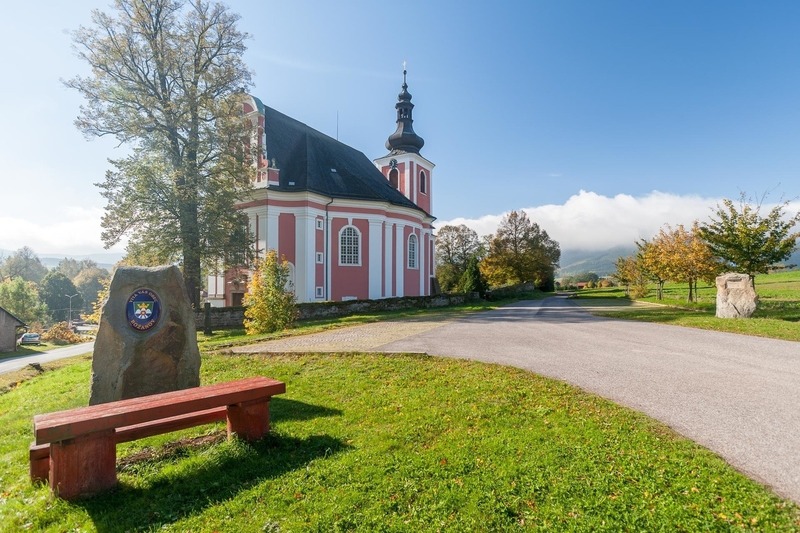 An important crossroad of tourist routes is the Star (Hvězda) and 18th century Baroque Chapel and the former Wooden Lodge built in the 19th century in Swiss style (It is a restaurant today.). 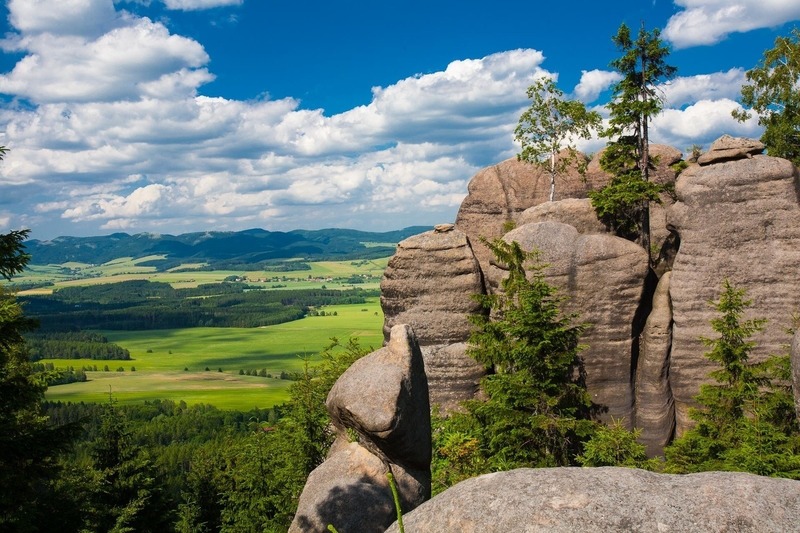 It offers a beautiful view of the Broumov basin and the surrounding Czech and Polish mountains. Other numerous look-outs, such as the Božanovský Špičák Mountain, the Crown (Koruna) and the Vulture’s Nest (Supí hnízdo) provide views not only of the nearby rocky terrains and other environs of the Police and Broumov regions, but also of the characteristic mountain ridges of the Giant Mountains (Krkonoše), the Owl Mountains (Soví hory), the Orlické Mountains (Orlické hory) and Bystřické Mountains (Bystřické hory) and across Poland of the distant Králický Sněžník and the Jeseníky Mountains (Jeseníky). The Broumov Walls are accessible not only to tourists but also partly to cyclists (mountain and trekking bikes) – there are several kilometres of navigated bike routes in the National Nature Reserve. The highest peak of the Javoří Mountains (Javoří hory) on the Czech side is the Ruprechtický Špičák Mountain. It lies 880 metres above sea level. 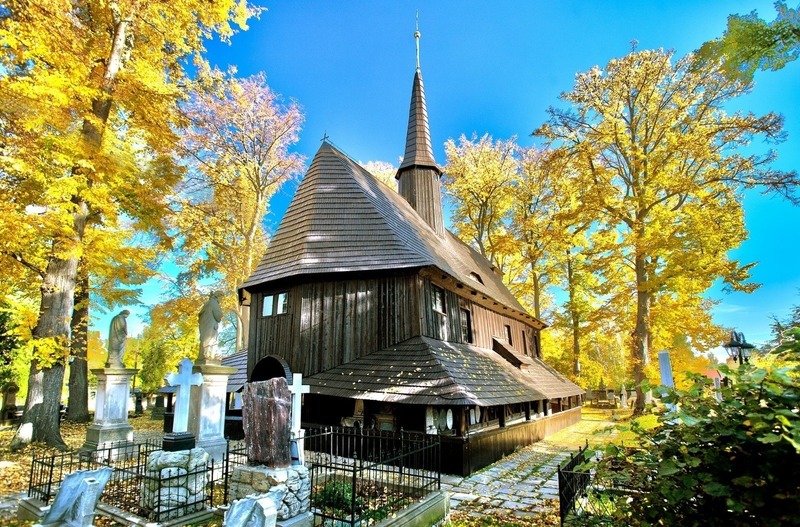 It stands 10 km north-east of Broumov and only a few dozens of metres from the Polish border. There is a tourist observation tower on the top. It is a metal construction almost 30 m high and provides a beautiful view of the entire panorama. Marked tourist trails will lead you to the observation tower. Those less able can park their car almost under the peak of the Špičák Mountain, at the edge of Ruprechtice (a village). The top of the Ostaš table mountain was declared a National Nature Reserve in 1956, as were the Cat Rocks (Kočičí scaly). In times long past the Ostaš Mountain and the rock towns served as a shelter for the people of Police in war times. These times are reflected in the names of some of the rock formations – The Traitor (Zrádce), The Cave of the Czech Brethren (Sluj českých bratří) to name just a few. A tourist walking trail loop makes the Ostaš Mountain accessible: The Ostaš Mountain is divided into two smaller rock towns, namely the Upper Labyrinth and the Lower Labyrinth and Cats Castle (Kočičí hrad).